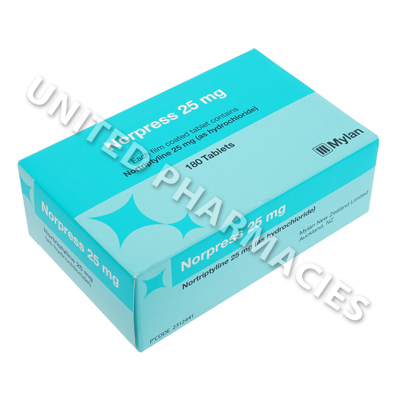 Norpress (Nortriptyline Hydrochloride) is a tricyclic antidepressant which works by elevating the mood in patients with depression. 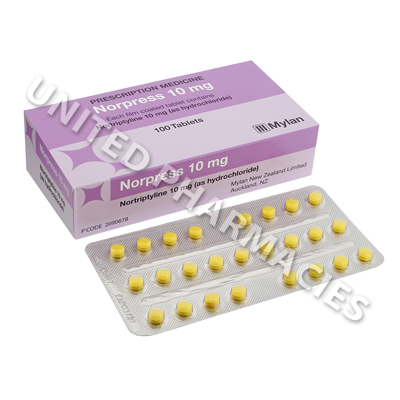 Norpress (Nortriptyline Hydrochloride) is a tricyclic antidepressant which works by elevating the mood in patients with depression. It is generally considered to be more effective at treating endogenous depression. 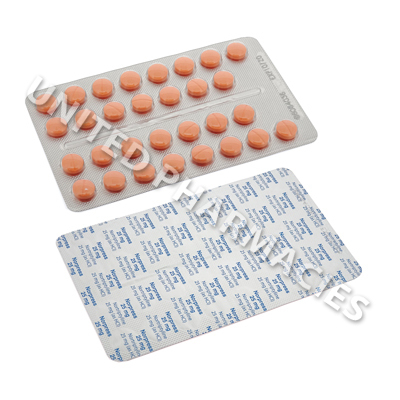 This medicine`s mechanism of action involves increasing some of the effects of norepinephrine (a type of neurotransmitter), while also affecting other catecholamines in the brain. Other indications include peripheral neuropathy and other forms of nerve pain, bedwetting and helping with smoking cessation. It has also been studied for other disorders, including migraine. 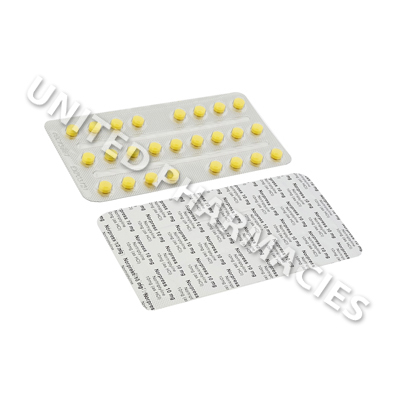 Norpress (Nortriptyline Hydrochloride) film coated tablets are available as either 10mg or 25mg strength varieties. Your physician will determine the most suitable dosage after a full medical examination has taken place. The dosage for adults suffering from depression normally ranges from 25mg to 150mg per day (as separate doses). Because the exact amount will differ from patient to patient, it is essential that the instructions provided by your physician are fully complied with at all times. Other reactions are also possible. Although serious side effects are rare, patients still need to be aware that this might occur. Immediately attend the hospital or consult your physician if you notice urination problems, fever, seizures, spasms, shaking which you have no control over or any other serious reactions that have not been referenced here. 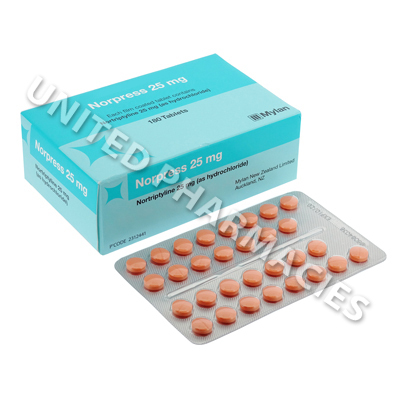 Norpress (Nortriptyline Hydrochloride) shares similarities with other antidepressants due to the fact that there is a slight risk of mental health changes, worsening of depression or even suicidal thoughts in some patients. Inform your physician as soon as possible if this happens. Taking this medicine could make the skin sensitive to the sun, and this is especially true if you are going to be exposed outdoors for a prolonged period of time. Ensure that you protect your skin with sunscreen and clothing if going outdoors. * All prices are quoted in United States dollar (USD). Copyright © 2001-2019 United Pharmacies. All rights reserved.